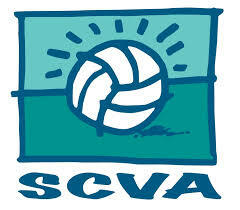 Southern California volleyball training sessions and skills improvement details, times and lesson information. Learn who the coach is, why she is qualified to be your son or daughter's volleyball trainer and just how important it is to have the right coach! Serving all of Southern California including Los Angeles County, Orange County, The Inland Empire, Long Beach, Anaheim, Irvine, Garden Grove and more! Please leave a phone number & best time to reach you. 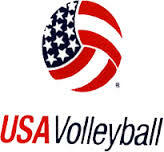 We offer these resources to you as a courtesy but we do not necessarily endorse all volleyball resources listed here. At the Setters In Motion Academy coach Sheri Sanders will train your boy or girl in developing the volleyball skills needed to move ahead of the team and the competition! Her unique and specialized approach provides grade school and high school athletes with advanced instruction and training in preparation for elite levels of competition. Offering private lessons as well as small and large group sessions, you will find that your child has the opportunity to develop his or her skills to the maximum level. With classes held at the American Sports Center in Anaheim, CA, Sheri reaches players from all over Southern California including the counties of Los Angeles and Orange, cities of Anaheim, Long Beach, Orange, Santa Ana, Huntington Beach, Seal Beach, Fullerton, Lakewood, Carson and other areas including the Inland Empire. Although Sheri specializes in setting and defense training she is more than qualified to develop all of the other necessary skills to compete at the highest level.